In 1971, I was hired right out of college as a staff member of the newly founded Institute of Policy Sciences and Public Affairs at Duke University. My job that year was to complete a photographic study of substandard housing and living conditions in North Carolina. I traveled throughout the State for ten months with my 35mm camera. Looking back, I see this project as an opportunity for a young southerner actually to get to know something about the South beyond the suburbs by looking in depth at one southern State, by meeting and talking with people in their homes, and by making portraits and landscapes throughout the State. Without being able to articulate this idea, I was beginning to realize that by focusing on any subject, however narrow, I had an opportunity to discover something I didn’t already know, and a chance to evoke larger themes and ideas. In completing this body of work, I was also following the dictum of my teacher Walker Evans who told his students to avoid as much as possible the influence of the classroom and the museum, to have their work spring from what he called, “the life of the streets.” For a young man learning how to be a photographer, I couldn’t have had a more interesting street to explore. 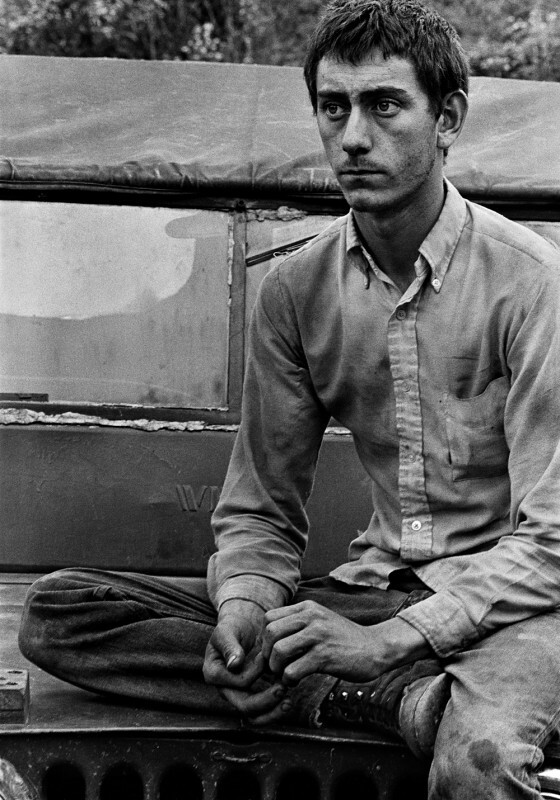 In 1972, a selection of these photographs was exhibited at University of North Carolina Symposium on the South, “The Mind of the South and The Southern Soul” as well as at the Southeastern Center for Contemporary Art. In 1978, ten of these photographs were also published in I Shall Save One Land Unvisited by Jonathan Williams and were part of a traveling exhibition opening at the Corcoran that same year.